If you are a Baptized Catechized Catholic and only need the sacrament of Confirmation your preparation for the sacrament will be completed through our six week Adult Confirmation Program. Fill out the Adult Confirmation Inquirer Information Form and return it via mail, email, or in person before March 27, 2019. Once your Adult Confirmation Inquirer Information Form is returned an interview will be scheduled before the start of classes. 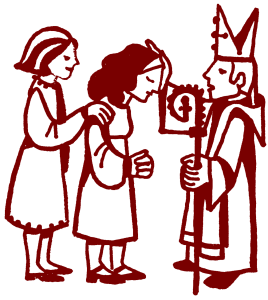 If you are a Baptized Uncatechized Catholic and haven’t received your 1st Communion (Eucharist) and Confirmation your preparation will be completed through the year-long Rite of Christian Initiation of Adults (RCIA) process as required by the Diocese of Phoenix.